The leader of the Irish rock band U2 Bono first came to Ukraine last weekend. The musician was invited as a special guest of the 15th Yalta European Strategy Annual Meeting (YES) which took place on September 13-15 in Kyiv, Ukraine. It’s reported by news website Novoe Vremya. According to the sources, the organizers of YES kept the name of the special guest of the event secretly, until he came to the main stage of the forum. Bono, for whom that was the first visit to Ukraine, arrived in Kyiv during a break between the concerts of U2’s Experience + Innocence Tour. During his speech at YES, Bono said that Ukraine must fight for its peace and freedom. 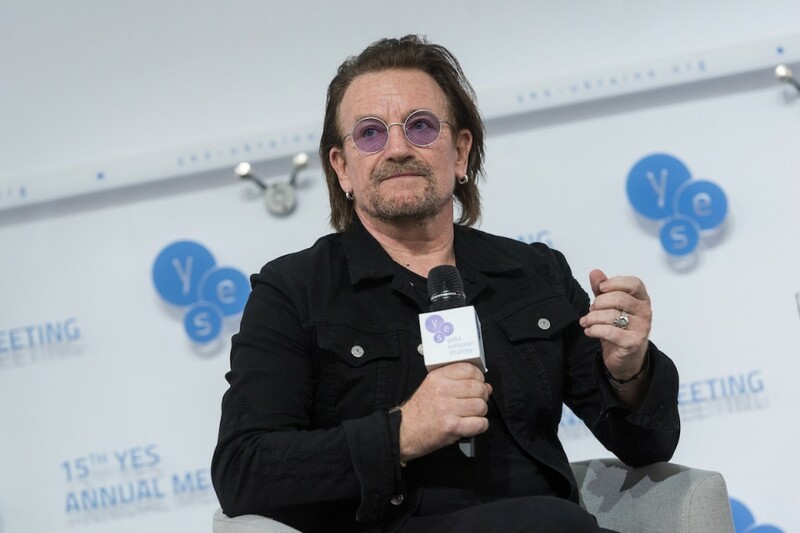 U2’s leader also touched on the topic of corruption, saying that it’s hurting the developing countries and that Europe should pay more attention to solving this problem. Also, the singer stressed an important role of new technologies in the fight against corruption. Experience + Innocence Tour takes place in support of the band's latest 2017’s album "Songs of Experience". The tour, including 61 concerts, began on May 2, 2018 with a performance of U2 in Tulsa, Oklahoma. The next shows will be held on September 17 in Lisbon, Portugal, and on September 20 and 21 in Madrid, Spain.